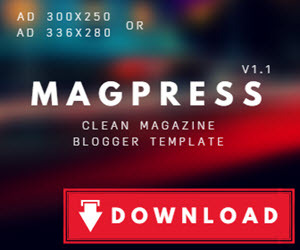 Headed home and needing to beat traffic? Or needing something to chew on between meals? 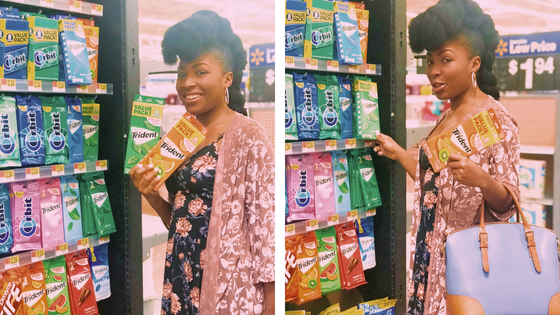 Trident Sugar Free Gum is now available in the candy aisle at your local Walmart store. What excites me the most is that I can now chew my favorite flavors, guilt-free, while in between meals and daily meetings. Some days are more stressful than others and believe it or not, chewing gum eases my anxiety and helps me concentrate ten times better. I absolutely love the summery, Tropical Twist flavor which I can stock up on now at Walmart using the ibotta offers. 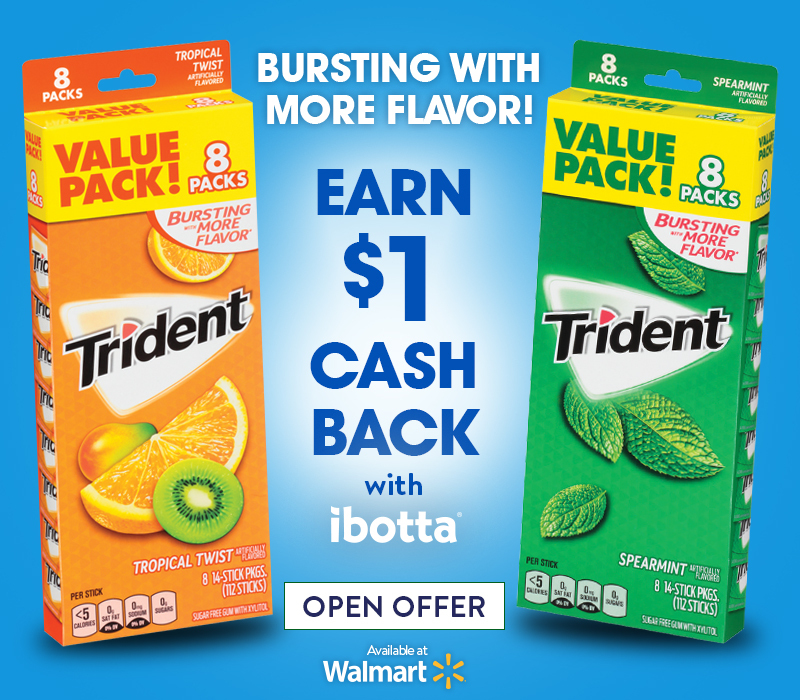 You can now earn $1 cash back every time you purchase your favorite flavor of Trident Sugar Free Gum available in the 8 pack at Walmart, using the ibotta offer. Not only is Trident flavorful, it's also long-lasting and helps you when you need it most- whether between meals, meetings or commutes. It's truly unbeatable! Plus, enter your chance to WIN Six (6) $50 Walmart Gift Cards & One (1) $200 Walmart Gift Card (Grand Prize) from now until August 24th.